Imagine soft egg noodles soaked an dipped in hot spicy soup adorned with fresh veggies and sprinkled with cruncy fried onion and shallots. Some extra pouched eggs and nori will surely make it more delicious. I am literally drolling as I write this :). Well...don't blame me, especially as you have seen the picture above :). And you can enjoy it in Ramen Takumi, here in NYC. Ramen is pretty popular in Japan, its origin. But NYC loves it, too. I guess that explains why we have so many Japanese restaurants have ramen as their specialty, including Ramen Takumi. 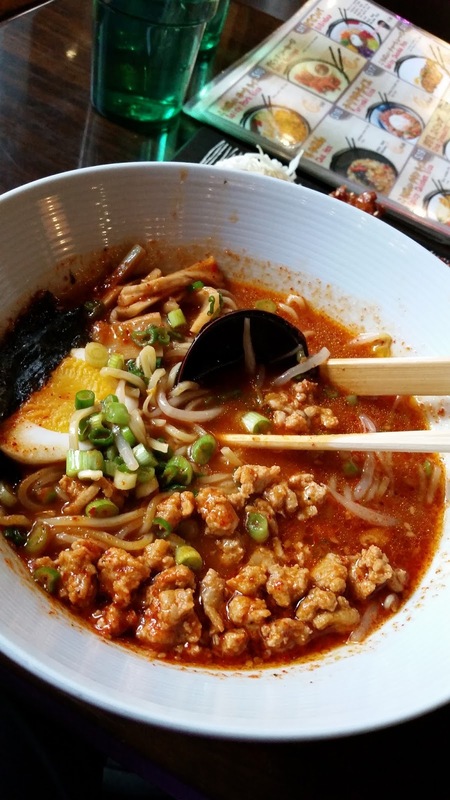 Many choices are available here, including the hang-over ramen with ginger and white spicy soup (don't you just love the name ;)), shoyu ramen, et tan - tan ramen. My fave is the spicy tan - tan ramen with fresh bean sprouts, shallots, mushroom, and minced chicken. So fresh! And super fresh. You can see it from the first photo I put up there. They have vegetables ramen as well. So, those who are not eating meat and chicken can still slurp its yummy soup and noodles. I have tried it and loved it, too. 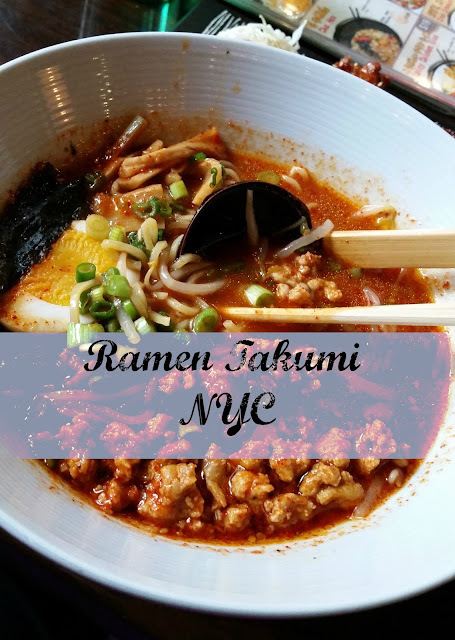 Ramen Takumi, NYC, for ramen lovers indeed. They have various menu for rice lovers as well, including one with bulgogi beef, chicken teriyaki, and Japanese style fried rice. Many more can be find in the menu for sure. The appetizers are yummy as well. 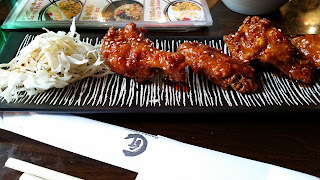 So far, my favorites are chicken bun (soft bun combined with sweet spicy chicken), aged gyoza, and spicy chicken wings. Of course they have many more, including crab cake, tempura, baby octopus in Wasabi sauce et salads. Enough choices for those with adventurous tummy. want some spicy chicken wings? let's dig in..
With approximately USD 35, you have a decent bowl of ramen for two and an appetizer. The place is not that big but it should be enough for individual diner and small groups. And the service is pretty quick. You won't be starving waiting for your food. So, make sure you make a stop here at 517 3rd Avenue between 34th and 35th street. And have a slurpy day :). I do, but I haven't had it in years! I used to have the cheap stuff when I was in college. This looks so delicious :) Great review, will keep in mind whenever I visit NYC! My girls are huge Ramen fans! I know they would love this! Looks delish!